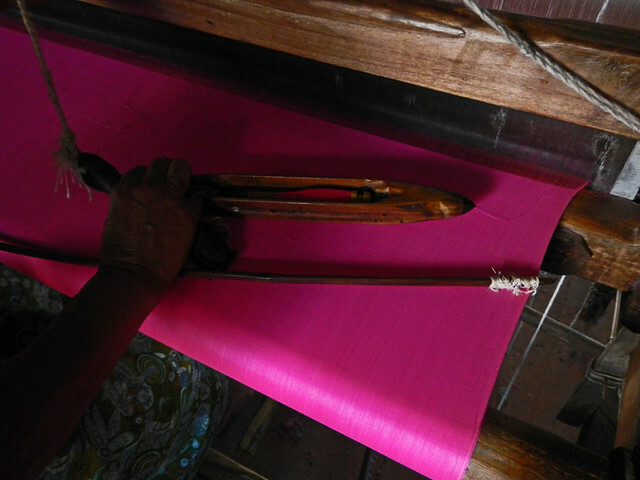 Silk cloth being woven on a loom in Myanmar. A huge painting of a piece of plaid fabric in Amsterdam’s Modern Art Museum. Lace is one of the more popular fabrics for curtains in northern Europe. 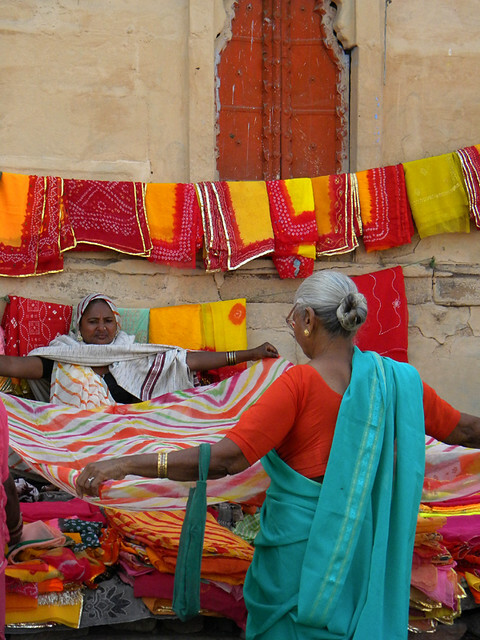 Shopping for sari fabric in the market in Jodhpur. 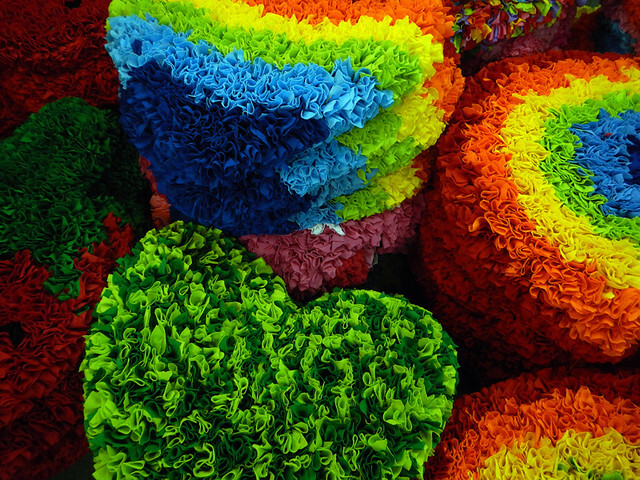 Fabric heart cushions in Bangkok’s weekend Chatuchak Market. 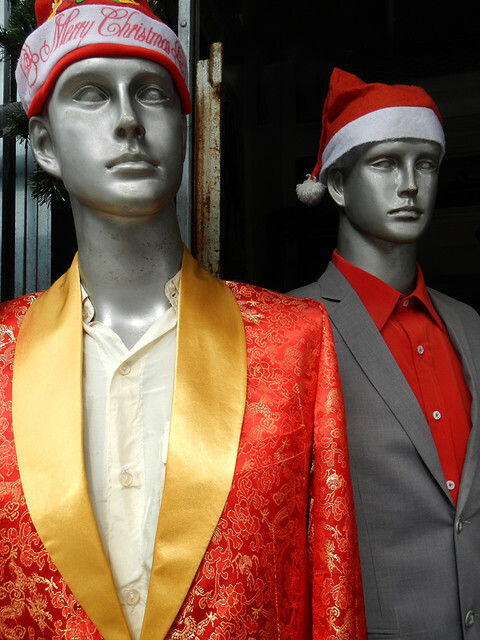 Interesting fabrics have been chosen to make up these Christmas suits in a Vietnamese tailor’s shop. A clothing store in Guatemala with local woven fabrics for sale. Red velvet curtains add a certain luxury to Cuellar Castle in Spain. More of Ailsa’s Travel Theme: Fabric. Wonderful shots. I love the velvet curtain. Something so mysterious about it. So many things could be behind it. Beautiful fabrics and lovely take on the theme.